CHICAGO -- Chicago, once again, tops Orkin's list of rattiest cities in the United States -- but New York isn't far behind. The cities were ranked by the number of rodent treatments the pest control company performed in the past year. 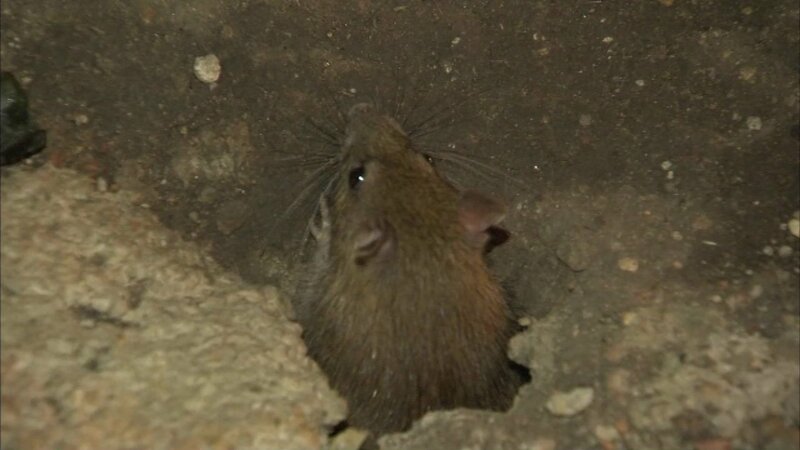 The rat problem is most prevalent in the Midwest, with 13 cities in the top 50. The last time Chicago came in first was in 2014. This year, New York City and Washington, D.C. took second and third place. "Just like we put on a warm coat and turn up the heat indoors, rodents look for a warm place to nest," said John Kane, entomologist and Technical Director of Orkin's Midwest Region. "Rats can squeeze through a hole the size of a quarter, while mice can fit through a hole the size of a dime - making it crucial to prepare for rodent season, whether or not your city made the list." Orkin said rodents can cause property damage in homes and businesses and threaten the health of people who occupy the buildings. Rodents reproduce quickly, can cause food contamination and tend to chew on wood and electrical wires, which increases the risk of fire. The company said homeowners and business owners can prevent these problems by keeping an eye out for rodent droppings, looking for possible entry points and blocking them, storing food properly, cleaning up crumbs and spills and trimming trees and bushes to at least three feet away from their property, to eliminate "jumping off" points. 17. Hartford & New Haven, Conn.
33. Grand Rapids-Kalamazoo-Battle Creek, Mich.
36. West Palm Beach-Ft. Pierce, Fla.